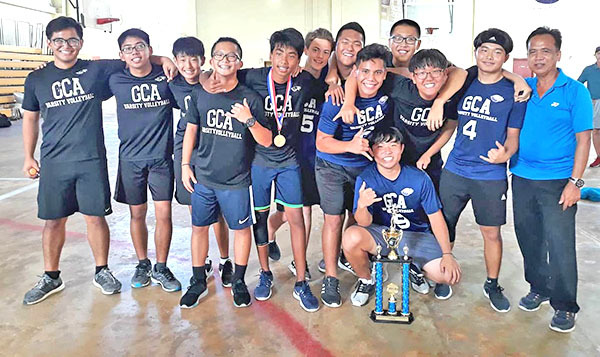 Grace Christian Academy ended its title drought yesterday after a thrilling victory against Saipan International School in the boys high school finals of the 2018-2019 Commonwealth Coalition of Private Schools Association Volleyball League at the Gilbert C. Ada Gymnasium. The Eagles persevered through the Geckos’ formidable team effort and other challenges to earn a 25-20, 25-23 win and claim their first championship in the division after coming up empty for the past six seasons. The last time GCA won in the boys high school finals was during the 2011-2012 season and it was versus the Geckos, too. Mt. 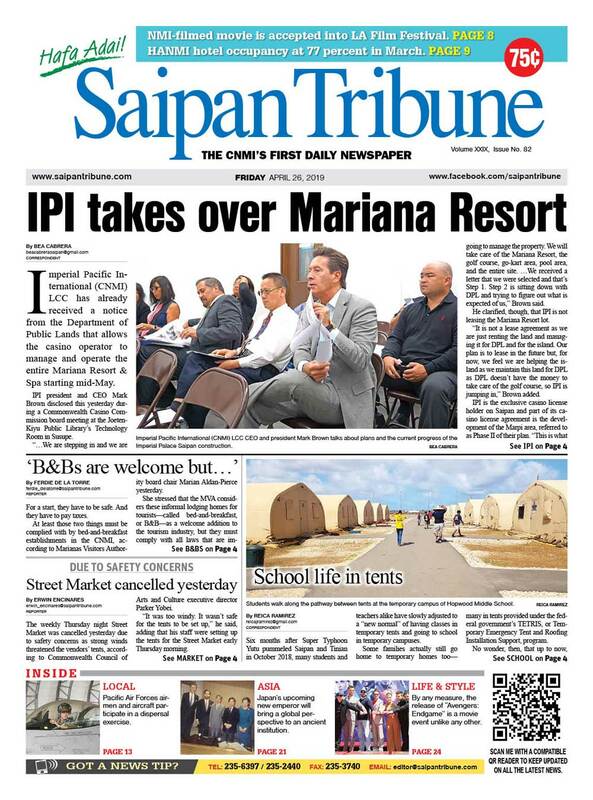 Carmel School, Marianas Baptist Academy, and SIS then led the way in the succeeding competitions until GCA broke the curse this year. 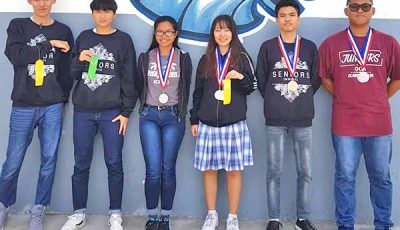 The Eagles did not only ended a dry spell, but they also handed the school a sweep of the high school league (GCA last Wednesday won the girls division finals over SIS), making yesterday’s victory sweeter. 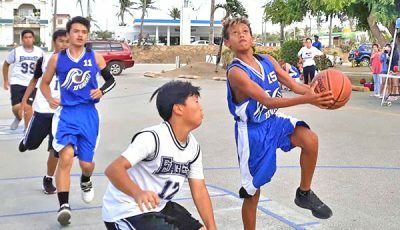 In the boys division, the Eagles and Geckos played only the remainder of the second set of their title showdown yesterday. After the sun set midway through the second set of the finale last Wednesday, league officials were forced to postpone the game as there’s still no power at the Ada Gym. The game resumed at the 13-9 tally, in favor of the Geckos. 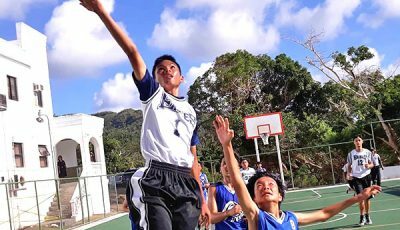 However, SIS failed to hang on to the lead and extend the championship game when GCA mounted a comeback, tying the set at 23-all. The Eagles went on to steal the win and finish off their foes behind the two serves of senior Seung Jun Baek. Moments before Baek dealt the killer blows to SIS’ title aspirations, Jason Wang spearheaded GCA’s furious comeback by nailing six consecutive serves. Wang’s solid performance from the serving area allowed GCA to overhaul a 16-21 deficit. Seemingly unfazed by the Geckos’ lead, Wang willed his team back into contention and placed Baek in the perfect position to seal the deal for the Eagles. Also helping GCA’s cause were Joshua Pajarillaga and Steven Balakrishna, as they anchored the Eagles frontlines, showcasing their spiking prowess and making key defensive stops in the do-or-die game. 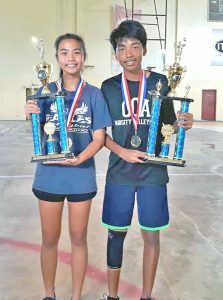 Though it was only his first year with the GCA high school team, Balakrishna played like a seasoned veteran from the opening whistle and his off and season-long efforts were duly rewarded when he won the finals MVP. For his part, Pajarillaga said suspending the second set of the match last Wednesday sort of worked to their advantage, as they were able to regroup after being down and recharge following a tough opening set. “It was dark and we couldn’t see much of the play or the ball. 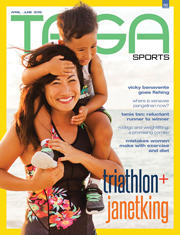 The stoppage also allowed us to refresh ourselves,” Pajarillaga said.